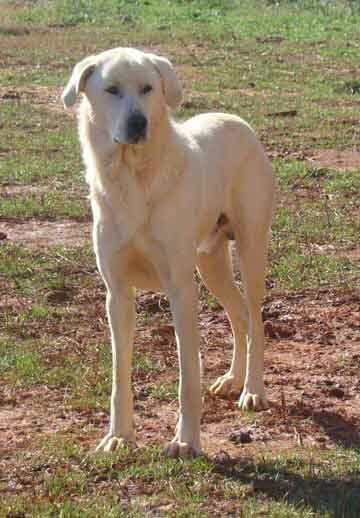 The Anatolian Shepherd originated more than 5,000 years ago in Turkey. Used by nomadic shepherds for herding, watching and guarding flocks, the Anatolian Shepherd has the size, ruggedness and adaptability for Turkey’s harsh terrain. These dogs are very similar to the Great Pyrenees and the Kuvasz, but are more slender and agile and have a shorter hair-coat. 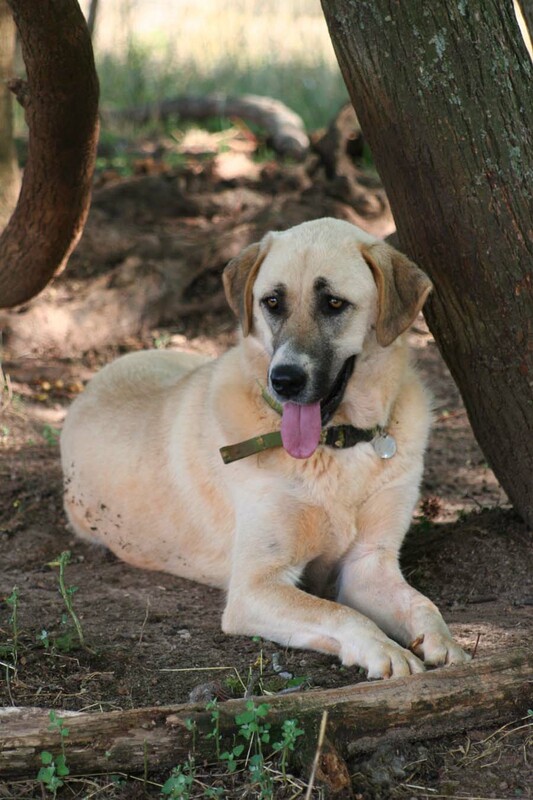 Most Anatolians are used for their original purpose as livestock guardians but they also make great family companions. 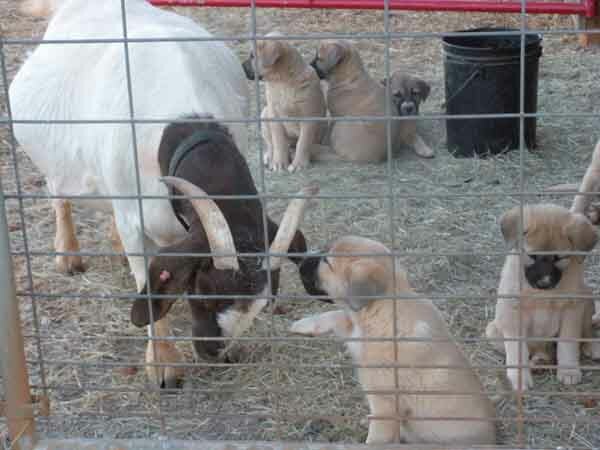 As a puppy, these dogs adopt whomever they live with, be it a herd of sheep or goats or a family of humans. They are fantastic guardian dogs. See "Rose", above, as she assumes her guardian role minutes after our farm's registered Jacob lamb "May" was born. All of our flocks are guarded by Anatolians. 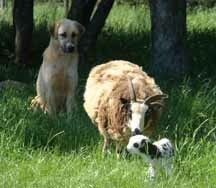 They are wonderful Livestock Guardian Dogs though we no longer breed and sell them.